Vehicular crimes are a broad category that encompasses a wide variety of charges from minor infractions to serious felonies. No matter which type of vehicular charges you face, Wade D. McCann is uniquely qualified to handle your case. As the former Deputy Chief in charge of the Auto Theft Unit with the Wayne County Prosecutor’s Office, he has a thorough understanding of the law and a unique perspective on common police and prosecutorial practices. He taps this wealth of knowledge to benefit his clients. If the value of the property is less than $200, it is a misdemeanor punishable by jail for not more than 93 days and/or a fine of the greater of up to $500 or 3 times the value of the property. If the property has a value of $200 to less than $1,000 (or the value is less than $200 but the individual has a prior conviction) it is a misdemeanor punishable by not more than 1 year in jail and/or a fine of the grater of up to $2,000 or 3 times the value of the property. If the property has a value of $1,000 or more but less than $20,000 (or if the value is $200 or more but less than $1,000, and the person has a prior conviction), it is a felony punishable by not more than 5 years in prison or a fine and/or a fine the greater of up to $10,000 or 3 times the value of the property. Finally, if the property is valued at $20,000 or more (or if it is valued at $1000 or more and the individual has 2 or more prior convictions) it is a felony punishable by not more than 10 years in prison and/or a fine of the greater of up to $15,000 or 3 times the value of the property. Unlawfully Driving Away an Automobile (UDAA) is a felony charge in Michigan. Illegally taking possession of and driving away a motor vehicle or assisting in doing so is punishable by up to 5 years in prison. Operating a Chop Shop is a serious crime in Michigan. A chop shop is defined as any premises where one or more persons is engaged or has engaged in altering, dismantling, reassembling, or in any way disguising the identity of a stolen motor vehicle or any major component part of a stolen motor vehicle, or any premises where there are 3 or more stolen motor vehicles or major component parts from 3 or more stolen motor vehicles present. Owning operating, or conducting a chop shop or knowingly aiding another person in doing so is a felony punishable by up to 10 years in prison and/or a fine of up to $250,000. 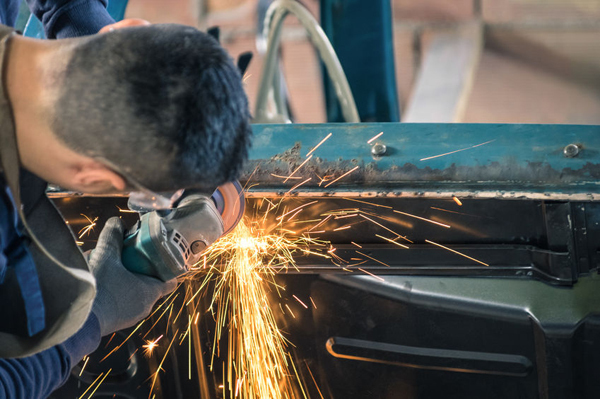 Convicted persons must also make restitution to the rightful owner of a stolen motor vehicle or their insurer and faces seizure of personal property used in the operation of the Chop Shop. Defendants may face a charge of Altering a VIN with Intent to Misrepresent if they remove or deface the manufacturer’s serial number or the engine or motor number, or replace a part of the motor vehicle bearing the serial number with a new part upon which the proper serial number or engine or motor number has not been stamped. If intent to misrepresent if proven, the defendant may be found guilty of a felony; if the person is a licensed dealer, their dealer’s license shall be revoked. In Michigan, the owner or operator of a motor vehicle is required to produce evidence that the motor vehicle is insured upon the request of a police officer. An owner or operator of a motor vehicle who knowingly produces False Certification upon such a request is guilty of a misdemeanor, punishable by up to 1 year in jail and/or a fine of up to $1,000. Making a False Statement in Application for Title or Intent to Pass False Title are other serious crimes. If a person is convicted of knowingly making a false statement of a material fact in application for the certificate of title or in any assignment of that title, or who, with intent to procure or pass title to a motor vehicle which he or she knows or has reason to believe has been stolen, it is a felony, punishable by a fine of up to $5,000, or up to 10 years in prison, or both. Insurance Fraud is also treated seriously in Michigan. For individuals it is a felony punishable by up to 4 years in prison and/or a fine up to $50,000 or both, and requires a convicted person to pay restitution. Conspiring to commit insurance fraud carries even heftier penalties. Larceny From a Motor Vehicle encompasses stealing or unlawfully removing any wheel, tire, air bag, catalytic converter, radio, stereo, clock, telephone, computer, or other electronic device in or on any motor vehicle, house trailer, trailer, or semitrailer. Penalties vary based on the value of the property in question and the presence of any prior convictions. If the value of the property is less than $200, it is a misdemeanor punishable by up to 93 days in jail and/or a fine of up to $500 or 3 times the value of the property. If the value of the property is $200 or more but less than $1,000 (or less if the individual has one or more prior convictions) it is a misdemeanor punishable by up to 1 year in jail and/or a fine of up to $2,000 or 3 times the value of the property. If the value of the property is $1,000 or more but less than $20,000 (or less if the individual has a prior conviction) it is a felony punishable by up to 5 years in prison and/or a fine of up to $10,000 or 3 times the value of the property. If the value of the property is more than $20,000 (or the individual has 2 or more prior convictions) it is a felony punishable by up to 10 years in prison and/or a fine up to $15,000 or 3 times the value of the property. Breaking and Entering a Motor Vehicle (or house trailer, trailer, or semitrailer) to steal or unlawfully remove property from it is a serious crime. 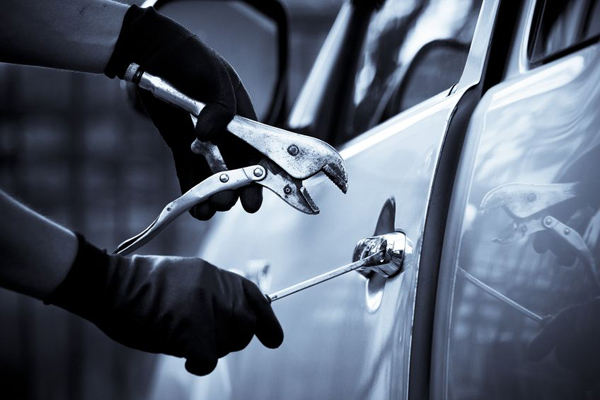 In addition to facing the Larceny From a Motor Vehicle charges above, an individual who breaks, tears, cuts, or otherwise damages any part of the vehicle is guilty of a felony punishable by up to 5 years in prison and/or a fine of up to $10,000, regardless of the value of the property. Even minor Motor Vehicle Offenses can have a major impact on a defendant’s automobile insurance rates and may even lead to a loss of driving privileges. No matter what the traffic violation or citation you are dealing with, from speeding to reckless driving, entrust your case to our experienced team. Vehicular charges may be brought against drivers by state or local authorities, adding layers of complexity to an already convoluted process. First, clients should understand that there are two categories of traffic violations: Civil Infractions and Motor Vehicle Crimes. Civil Infractions – such as regular speeding tickets – are more “minor” violations of traffic laws. These violations are potentially damaging to a client’s driving record and insurance rates, since potential penalties include the fines and/or points added to a drivers’ license. However, potential penalties do not include jail time. Motor Vehicle Crimes are crimes that carry the potential for imprisonment as part of their sentence and are considered crimes with the potential for an entry on one’s criminal record. There are several groups of crimes that fall under this umbrella, and it is possible for a defendant to be charged with more than one. A charge of Reckless Driving results when a person is accused of driving a vehicle with willful and wanton disregard for the safety of persons or property. This misdemeanor is punishable by up to 93 days in jail and/or a fine of up to $500. If the person operating the vehicle causes the serious impairment of a body function of another person, the driver can be charged with a felony that is punishable by up to 5 years in prison, a fine of $1,000 to $5,000, or both. If the person operating the vehicle causes the death of another person, the driver can be charged with Negligent Homicide, which is discussed in more detail on our Homicide page. Leaving the Scene of an Accident is a criminal offense in Michigan, and is charged pursuant with the type of damage caused. 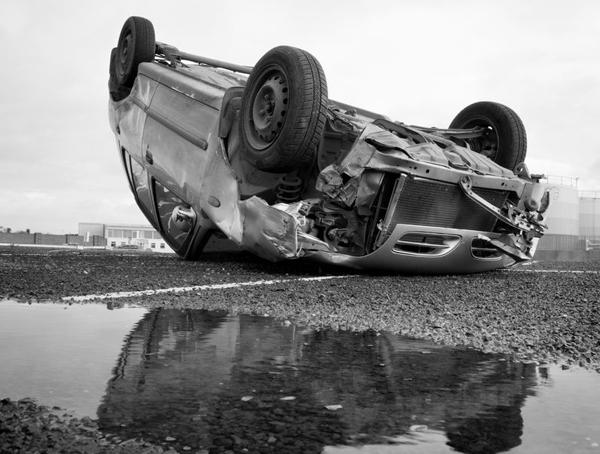 If a driver knows or has reason to know they were involved in an accident, they must remain at the scene unless they feel staying there would cause more harm. In that case, they must immediately report the accident to the police. If a driver violates this law regarding an accident that causes only property damage, he or she may be charged with a misdemeanor punishable by up to 90 days in jail, a fine of up to $100, or both. If a driver violates this law regarding an accident that causes personal injury, he or she may be charged with a misdemeanor punishable by up to 1 year in jail and/or a fine of up to $1,000, and his or her driver’s license will be suspended. If a driver violates this law regarding an accident that causes serious impairment of a body function or death, he or she may be charged with a felony punishable by up to 5 years in prison and/or a fine of up to $5,000. The penalties escalate if the driver who fled caused the accident: It becomes a felony that’s punishable by as up to 15 years in prison and/or a fine of up to $10,000. A person’s license can be revoked or suspended for many reasons that may or may not have anything to do with their driving record, including nonpayment of child support, nonpayment of traffic tickets, and of course, drunk driving or drug crime convictions, just to name a few. A Suspended License means there is a predetermined time period during which they can not drive, unless they are permitted to have a restricted license that allows them to drive to certain locations, such as work, school or treatment. Once the suspension ceases, the driver can pay a license re-instatement fee and drive again. In contrast, a Revoked License requires that a driver go through a set period of time before going through the license restoration process in front of a Secretary of State hearing officer. Punishments for driving with either a Suspended or Revoked License depend on the number of offenses and any damages caused. A first offense for either is a misdemeanor, punishable by up to 93 days in jail, a fine of $500, or both. Second and subsequent offenses are misdemeanors, punishable by up to 1 year in jail and/or a fine of up to $1,000. If, however, an individual driving with a suspended or revoked license causes the serious impairment of another person, the defendant could face a felony punishable by 5 years in prison, a $1,000 to $5,000 fine, or both. If a defendant driving on a suspended or revoked license causes the death of another person, the defendant could face a felony punishable by 15 years in prison, a fine of $2,500 to $10,000, or both.